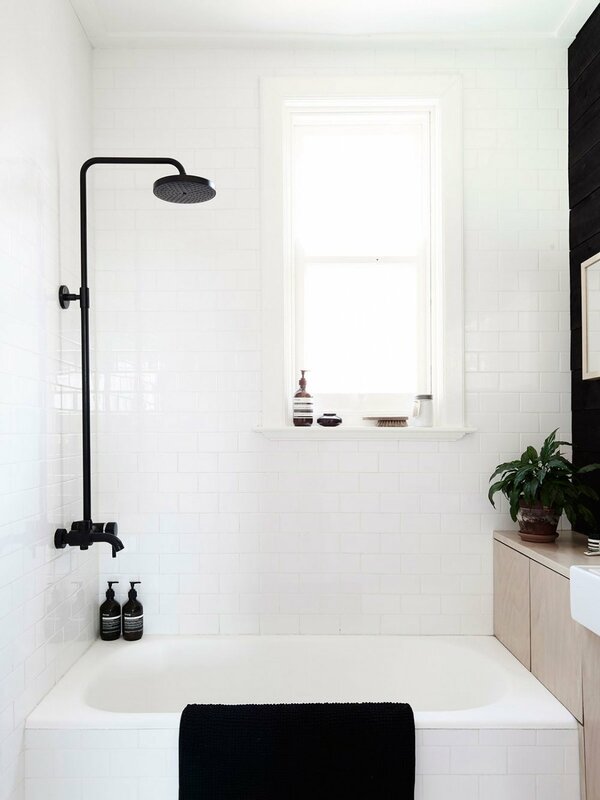 One Room Challenge Week 1 - Bathroom Makeover — Love On Sunday Love On Sunday | Interior Styling in Toronto and the GTA. The Spring One Room Challenge is here! For those of you who are new to the game, it’s a 6 week challenge where 20 featured designers and 200+ guest participants (like me) are challenging themselves to complete a room transformation in 6 short weeks. Yeah, we crazy. This is my my 4th ORC– I’ve completed my office, master bedroom and a client’s living room that even got featured on House Beautiful! A big thanks to Linda from Calling it Home (the brainchild behind this event), because without this challenge, my house would probably still be a complete disaster. If you’re new to these parts of the interwebs, I thought I would introduce myself. My name is Amy Carrillo and I’m from Mississauga, Ontario – a small suburb just outside of Toronto. I’m self-employed and run my own little business that specializes in creative direction, interior/prop styling and graphic design. We moved into our house in 2015 and we are slowly making it our own. If you browse through my site or Instagram feed, you’ll see I have a minimal aesthetic. I'm drawn to Scandinavian interiors and clean lines but I also like to mix and match different styles. A good mix is always good! With only a teeny budget to work with, we’re going to transform our space into a light and airy main bathroom. I’ll be sharing before photos next week and also some progress peeks on my stories! You can check out what the other guest participants will be tackling here as well as the 20 featured designers here. I'm also excited to see 3 amazing Canadian experts on the featured designers list this season. Christine Dovey, Jacquelyn Clark and Jen of Rambling Renovators. I'm a big fan of all 3 of them. If you're looking for more inspiration, check out their projects.